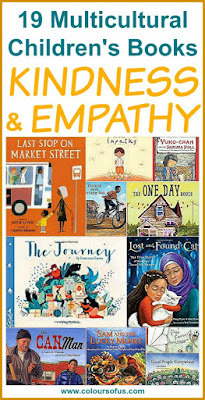 #DiverseKidLit for Sept. Share a link or find the latest diverse book recommendations here! I read a ton this summer, which led to me getting very, very far behind in my blogging about my reading. To that end, I am giving myself permission to simplify the sharing process and just dump my quick notes, rather than longer, coherent reviews. So, here we go! Posted. (2017) by John David Anderson, p. 380. With cell phones banned, middle schoolers turn to sticky notes with wiggly escalating messages of meanness. About friendship, fitting in, and being true to yourself. Our Story Begins: Your Favorite Authors and Illustrators Share Fun, Inspiring, and Occasionally Ridiculous Things They Wrote and Drew as Kids (2017) edited by Elissa Brent Weissman, p. 200. Stories and illustrations from when authors were kids. Really fun as mentor texts and inspiration for your budding authors and artists. Nevermoor: the trails of Morrigan Crow. (2017 ARC) by Jessica Townsend, p. 420. Fantasy series about a cursed girl who finds another world attached to her own when she receives an invitation to join the Wundrous Society. Inventive but long and fairly predictable. Tumble and Blue. (2017 ARC) by Cassie Beasley, p. 400. Two families have been alternately blessed and cursed from a 200-year old meeting with a golden alligator. Blue is cursed to lose and Tumble is a damsel-in-distress. Can you guess what happens? Yes, you can. This one seemed really long to be this predictable. Orphan Island. (2017) by Laurel Snyder, p. 290. Magical realism novel about nine kids on an island - each year another arrives and the oldest leaves. Some hints about the outside world - books, but otherwise isolated. Thornhill. (Arc 2017) by Pam Smy, p. 550. Story told in alternating voices - a girl's journal from 1982 and illustrations of a girl in 2017. Like a less-well done Brian Selznick book. Supposedly creepy but really isn't. Predictable. Saints and Misfits. (2017) by S.K. Ali, p. 330. YA about a Muslim teenager, Janna, who is nearly assaulted/raped by a respected boy from her mosque (and her friend's cousin). This is a story about friendship and learning to stand up to others. If I Was Your Girl. (2016) by Meredith Russo, p. 280. Amanda is a MTF trans person who moves in with her divorced father after her transition caused problems in her hometown. She finds a group of friends and a boyfriend but worries how/when/what to tell them. Incredible writing and story. The author is herself a trans woman. Poe: Stories and Poems (2017 ARC) illustrated by Gareth Hinds, p. 120. Graphic novel of several short stories and poems. Something about seeing Poe makes these even more creepy (if such a thing were possible). Revolution. (2014) by Deborah Wiles, p. 530. [Listened to first half as audio book.] Story of Freedom Summer of 1964, told mainly in 12-year old Sunny's (white) point-of-view but with some chapters of 15-year old Raymond (black) and a few about her step-brother, Gillette. Also interspersed with a bunch of nonfiction material: quotes, photographs, and news entries. The format didn't really work for me, the story was slow, slow, slow (6 hours of listening for half the book), and Raymond, in particular, was a type, not a character. Solo (2017 ARC) by Kwame Alexander and Mary Rand Hess, p. 320. Novel in verse from the perspective of 17-year old Blade, oldest son of a drug-addicted, fading rock star. A story about love, loss, family, and belonging. (Spoiler: it gets sprung on him rather roughly that he's actually adopted, leading him to jump on a plane to Ghana to find his birth mother.) Also I'm not sure there was ever physical description to confirm his race. YA but minimal YA content (Dad's drug addiction, girlfriend who is waiting for marriage). I've heard the playlists that accompany the book are fantastic. When Dimple Met Rishi. (2017) by Sandhya Menon, p. 380. Cute romantic story in two perspectives as Indian-American Rishi heads to coding camp to meet his future-wife, Dimple, whose parents neglected to mention him to her. Cue awkwardness! I thoroughly enjoyed this nerd-out of a story.